Want to see behind walls? We utilize infrared technology to find mold hidden in walls, ceilings, and floors. 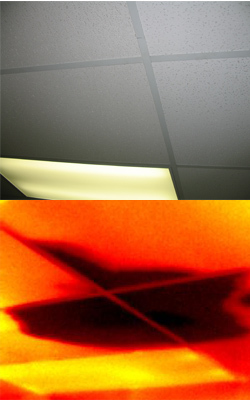 Every surface in your home gives off different infrared signatures. When mold/moisture is on or behind a surface, it can be recognized by the infrared camera. This valuable tool allows us to define the extent of the mold problem accurately and immediately. This technology may also allow us to determine the source of your problem. The bottom line is that with the proper equipment and trained technicians, the scope of work and price will be right the first time. There is no speculation; no more guessing if it is behind a wall or what the price will be. Do not play the guessing game--- let us use science to get it right the first time! 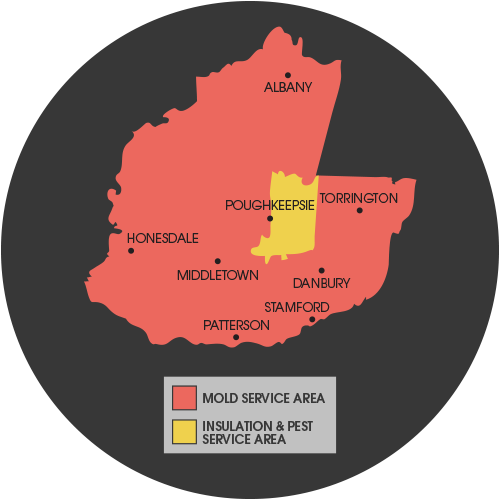 If you are interested in having your home inspected for mold, contact us for a mold inspection today!